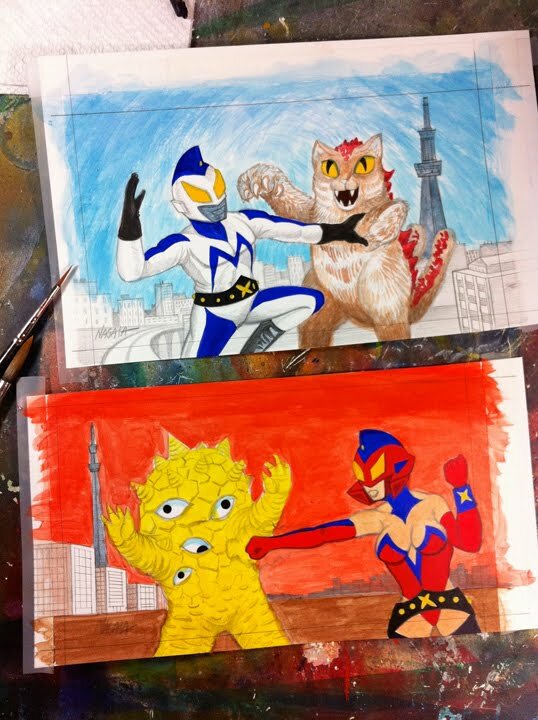 Kaiju Art … Quickly ! 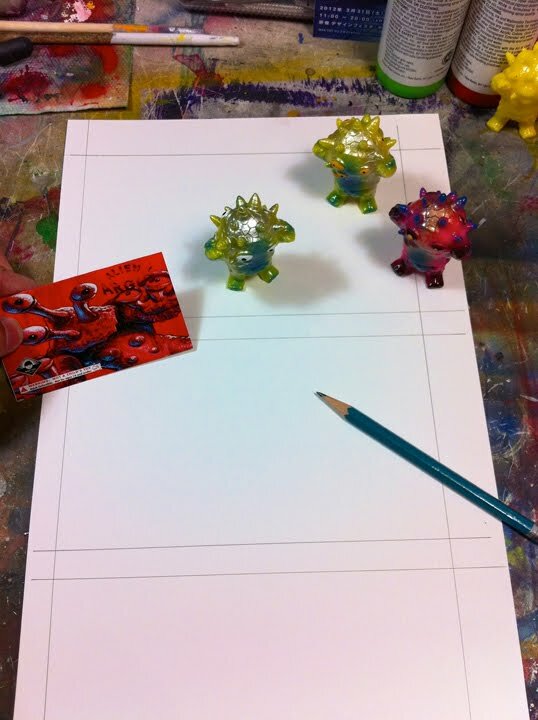 I am often called upon to produce artwork for the header cards that we use to package the figures we make. I love to do them but in the case of this example, I had to paint them in about a day. 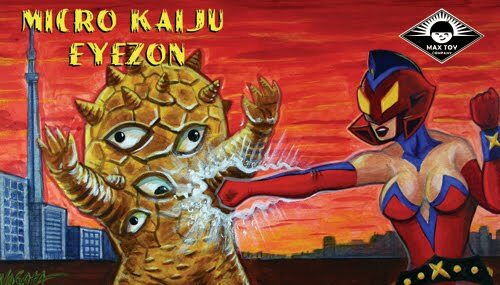 I can do it and after 13 years of being a freelance illustrator the ability to crank out a piece of art is something I can do. 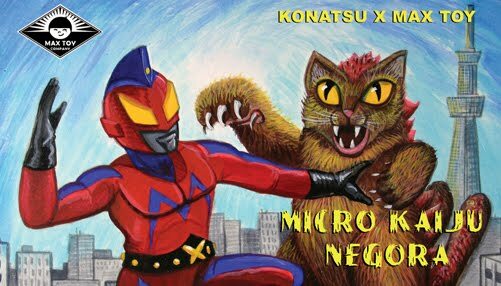 These particular pieces would be used for our Micro Kaiju line of figures .. the header cards being 3.5 x 2 inches in final printed size. 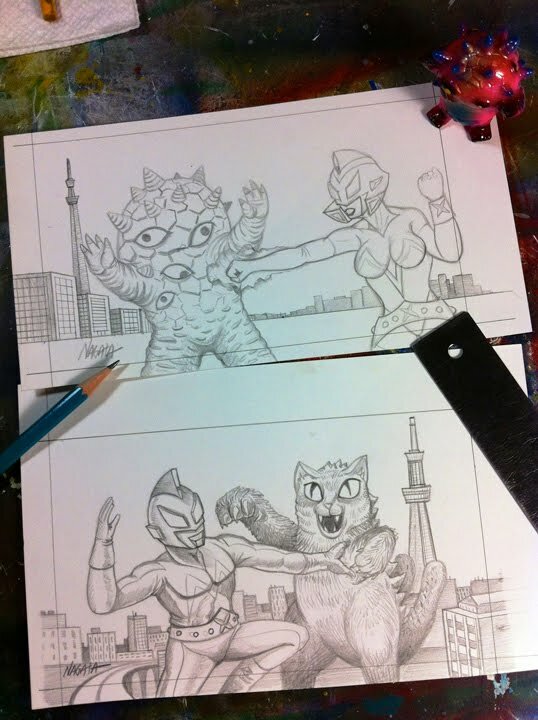 Given the final reproduction size and the time frame, I did the originals small too … 4 x 7 inches. 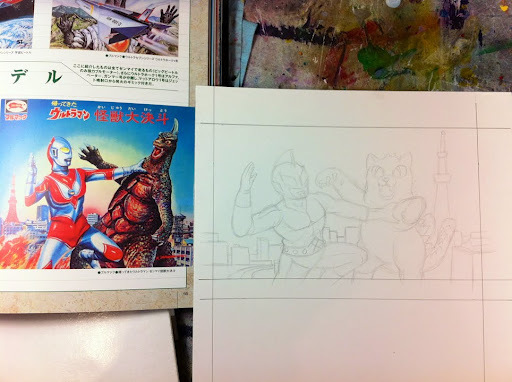 Going for the old school header card style I used my Maemura art book to look at Bullmark packaging art … if you find this book, I highly recommend it..however it is out of print. 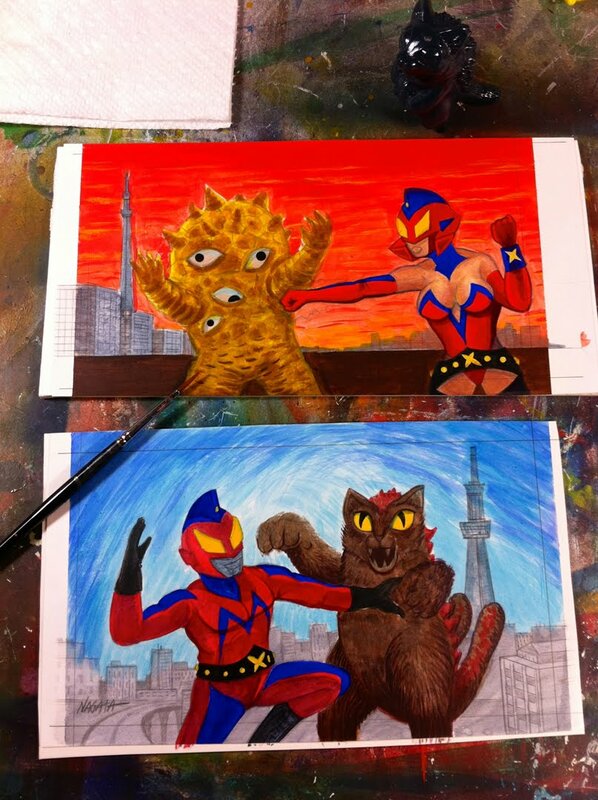 In any case, Yo-san asked that Captain Maxx fight Negora, and Lady Maxx fight Eyezon. 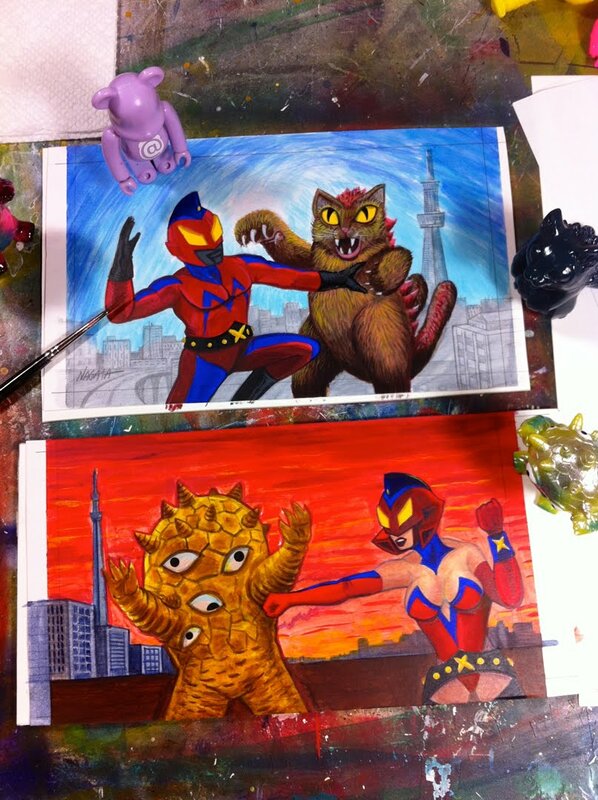 This entry was posted in captain maxx, eyezon, kaiju, Lady Maxx, mark nagata, Max Toy, negora. Bookmark the permalink.